The publisher Spiegel & Grau, a Penguin Random House imprint known for its best-selling and groundbreaking nonfiction, has been shut down as part of a continuing effort to streamline Penguin Random House’s sprawling operation following the merger between Penguin and Random House in 2013. On Friday, the company announced that the imprint will be shuttered and that its founders, Cindy Spiegel and Julie Grau, will leave. The news came as a shock to some at the company and in the publishing world, as the imprint had just completed one of its most successful years. In 2018, it published multiple New York Times best sellers and other high-profile titles, including a book about the Beastie Boys by the band members Michael Diamond and Adam Horovitz, and one about pressing societal concerns by the Israeli historian and philosopher Yuval Harari. 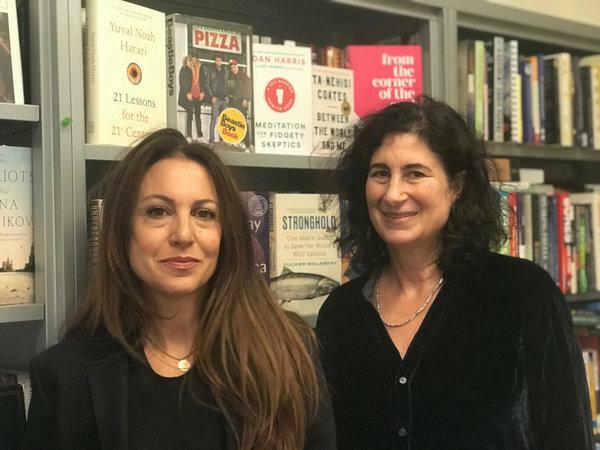 The imprint, which was started at Doubleday in 2007 and moved to Random House in 2008, has over the years amassed a stable of prominent authors and award-winning books. Spiegel & Grau published “Between the World and Me,” by Ta-Nehisi Coates, a best seller that won a 2015 National Book Award and helped drive conversation about police violence and systemic racism. They also published best sellers like Bryan Stevenson’s “Just Mercy,” the memoir “Born a Crime,” by the “Daily Show” host Trevor Noah, Jay-Z’s “DECODED,” Piper Kerman’s prison memoir “Orange Is the New Black” and books by popular self-help authors like Suze Orman and Brené Brown. Some authors who started their careers at Spiegel & Grau mourned the end of the imprint. Ms. Kerman, whose memoir was adapted into a successful Netflix series, credited Ms. Grau with taking a chance on her when she was an aspiring writer who had never published anything and was still on federal probation. Ms. Spiegel and Ms. Grau developed a track record for publishing prescient works that tapped into the cultural zeitgeist. At a moment when editors and publishers were looking for books by authors from diverse backgrounds, the imprint became something of a magnet for books by African-American writers and cultural figures. Julie Grau (left) and Cindy Spiegel developed a track record for publishing prescient works that tapped into the cultural zeitgeist. One of Spiegel & Grau’s top editors, Chris Jackson, left in 2016 to revive another Random House imprint, One World. Ms. Spiegel and Ms. Grau are the latest prominent editors and publishers to depart as a result of the shake-up. In the aftermath of the reorganization, Maya Mavjee, Crown’s president and publisher, left the company and will be moving to Macmillan; Crown’s senior vice president and publisher, Molly Stern, who edited Michelle Obama’s book, left the company. Emi Ikkanda, an editor at Spiegel & Grau, will also leave with the shuttering of the imprint. The consolidation comes at a moment when big publishing houses are trying to adapt to the shift toward online retail. Some of the biggest publishing houses have been adding imprints and acquiring smaller publishing companies to stay competitive, hoping that getting bigger would give them an advantage when negotiating terms with retailers and distributors. In 2016, Hachette Book Group struck a deal to acquire Perseus, an independent publishing house, and in 2014 News Corporation bought the romance publisher Harlequin for $415 million. When Penguin and Random House merged in 2013, they became by far the largest of the “big five” publishing houses, which also include Hachette, HarperCollins, Simon & Schuster and Macmillan. Lately, however, there have been signs that the biggest publishing houses feel the need to contract and consolidate by eliminating and combining imprints. Last year, Hachette shifted its free-standing Hachette Books nonfiction line to the Perseus Books division. In 2017, Penguin shut down Blue Rider Press. Penguin Random House, which houses around 275 imprints worldwide and generates some $4 billion annually, has begun to look for ways to streamline its publishing lines, a move that could help to curb duplication across imprints. In a company memo, the Random House publisher Susan Kamil said Spiegel & Grau’s authors would move to other imprints. “While the S & G list will no longer exist as a stand-alone imprint, its amazing authors will be fully and proudly supported by Random House, The Dial Press and One World,” Ms. Kamil wrote.